NOTE: This is an non-affiliated and non-sponsored review. We purchased this gear ourselves. We’re on the hunt for lightweight gaming mice. We’ve reviewed a Redragon keyboard in the past and thought it was good. 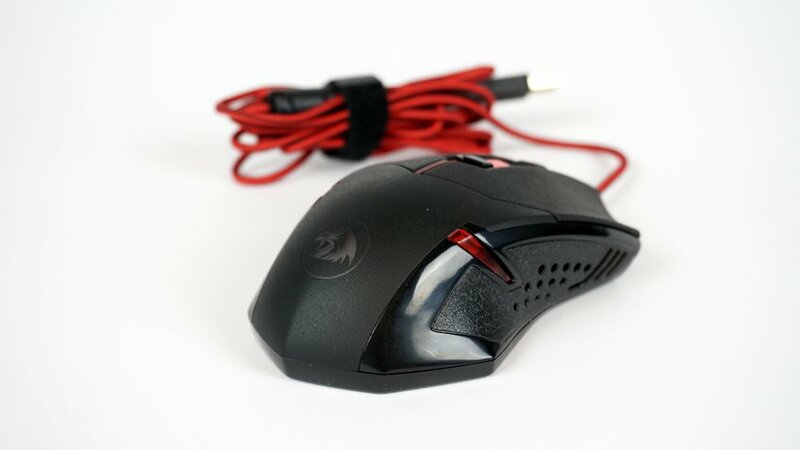 The Redragon Centrophorus is one of the top results for gaming mouse on Amazon. It’s light, it’s cheap, so how could we pass it up? The mouse is somewhat eye-catching. It has a very sharp and bold black and red design. It’s a little too flashy for my tastes but I could see someone liking it. As you would expect at this price point, this mouse is entirely plastic. It sports a braided cable, a pleasant touch as many more expensive mice don’t. The USB plug is a few mm longer than most USB plugs one of those weird things you notice. It’s top shell, and right/left mouse buttons have a very aggressive matte texture to them. No other mouse I’ve ever seen has this much texture to it, so I would guess this is simply the cheapest way to go. The sides have a semi-matte texture with holes. It provides adequate grip when using the mouse. The left/right mouse buttons have quite a big scoop to them. To me it feels a little awkward. Having a little scoop is OK, but these are extreme. The forward/back buttons sit in a nice spot and are relatively easy to hit. The scroll button is decent. It turns easily but does sit a little low between the right/left buttons for my taste. Often times I find my finger hitting the left/right button edges while scrolling, I really don’t like that. The form factor is low profile. It has a decent shape that can accommodate any grip. It doesn’t excel at any grip though. A claw grip is a little weird because of the scooped left/right button design. A palm grip will lead to you dragging your palm around your mouse mat due to the low profile. The laser on this thing is a bright red. It contains a few different areas with red (and only red) LED lighting, along the left, right, and back side. The lighting is very harsh and uneven, you can actually see the LEDs on the side through the clear plastic. It doesn’t look awful, but it doesn’t look good either. The default lighting effect is a breathing effect. From what I understand you can turn off the lighting via the software, see that section for more. You can change the DPI the same way you would change the DPI on any gaming mouse. Press the small button behind the scroll wheel. There is an LED area behind that button that isn’t lit up, and it will blink at various speeds. Slow blinks means setting #1, super fast blinks means setting #4, and the others are between. It’s not a very good system but I guess it works. Few mice out there have removable weights. 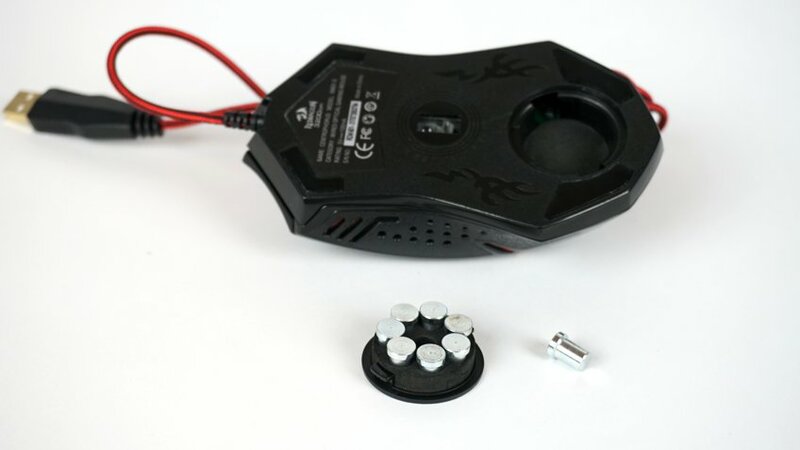 To see such a feature on a cheap mouse like this was quite a surprise. The weight door is harder to turn initially than you would expect, it took quite a bit of effort and work. I tried a screwdriver to no avail. I tried my fingers to no avail. I tried a pen and broke it. A coin finally won the day and got it turned all the way. After you do it once it seems to loosen up quite a bit and is much easier to open. It was quite difficult to take off the cover once you have it unscrewed. There is no obvious place to pop it open. I needed to resort to using a small metal pick to get it off. I put a few nice scratches on the bottom trying to remove this door. Not the end of the world but more annoying than anything. Inside you will find 8 small metal weights, each weighing 2.4 oz. They simply pull out of the holder, and then you screw the door back on. But.. it is plugged in! This mouse has software, allegedly. I’ve tried to download and install it, but it does not work. I first received an error that I needed to plug in the mouse when installing it, so I did and that worked no problem. 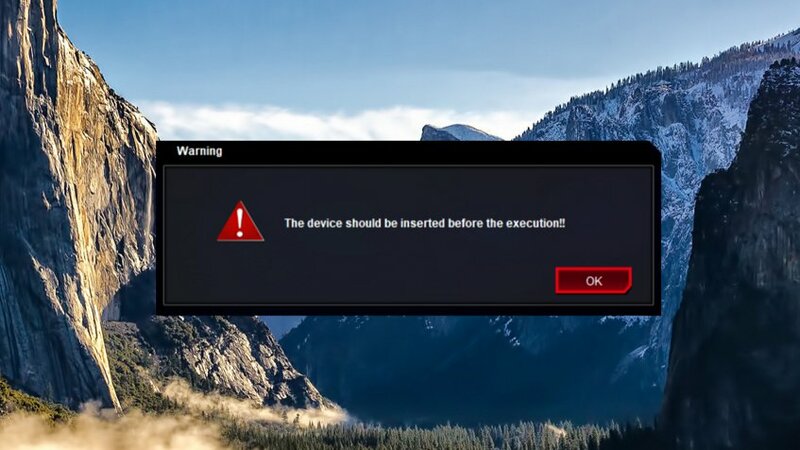 After installed it failed to start. It gave me the following error message despite having the mouse plugged in. Luckily the mouse has 4 preset DPIs (800/1600/2400/3200) so even if it the software doesn’t work, it might not be the end of the world. It’s something you should consider as you might not be able to make any other adjustments or turn the lighting off. I like to remap buttons for some games like DOTA 2, so for me this is a non-starter. Also installing the software application installs some drivers. These drivers do not play well with Logitech drivers. I watched all my Logitech mice start getting the dreaded No devices detected message in the Logitech Gaming Software. It took a few hours of tracking down and removing the root cause. I don’t think most people would be able to figure it out and blame Logitech for the software not working. 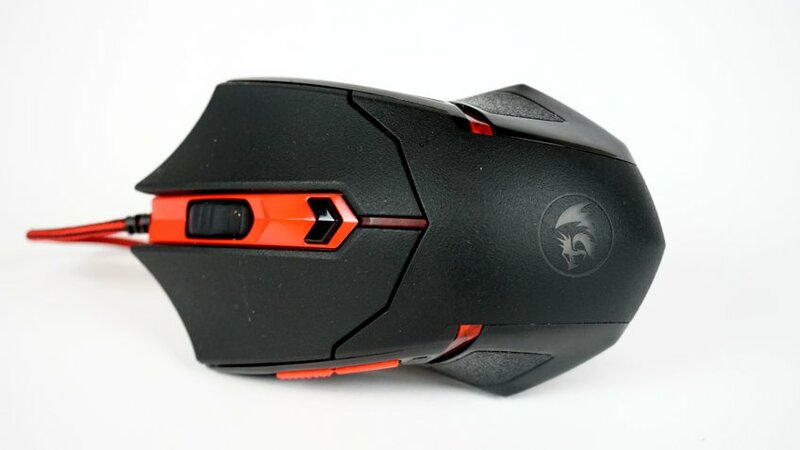 The Redragon Centrophorus is a cheap low profile gaming mouse that feels as cheap as the price. It has a few minor issues, and it doesn’t excel in any way. The software did not work at all for me. It does have plenty of DPI, reasonable default DPI settings, and works as well as most any other gaming mouse. It comes down to a pure value play. 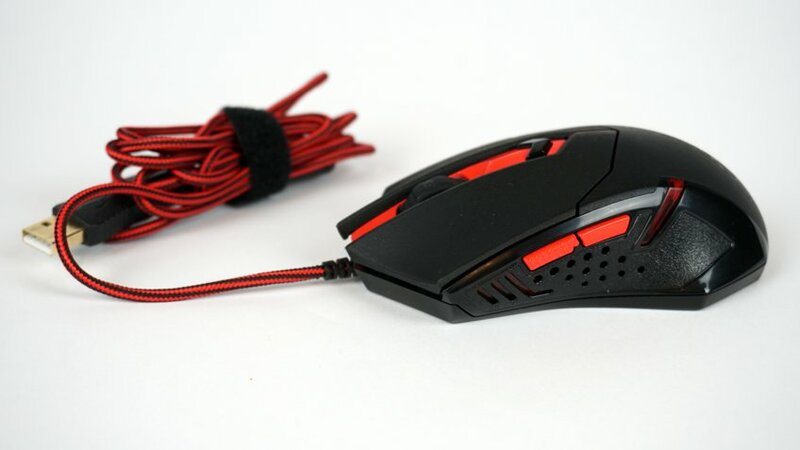 This mouse is only $13. I can forgive and understand some of the things that I don’t like about it. I find it hard to recommend unless you’re on a tight budget. For another $15–$20 you can get some great mice that are worth the price upgrade. Keep an eye on our reviews over the next couple of weeks. The pen name of the illustrious editor of this fine site. Randomly generated for a D&D game called Baldurs Gate. A chaotic good, male, dwarf, dual class fighter/thief.